You can rely on our experienced team of dry cleaners to make your garments look their best. All of our staff have years of experience within the industry, we pride ourselves in having a fast, quality service and strive ourselves in exceeding our clients expectations. Our ability to supply our customers with a top quality service ensures that we are the leading laundry service in isleworth. 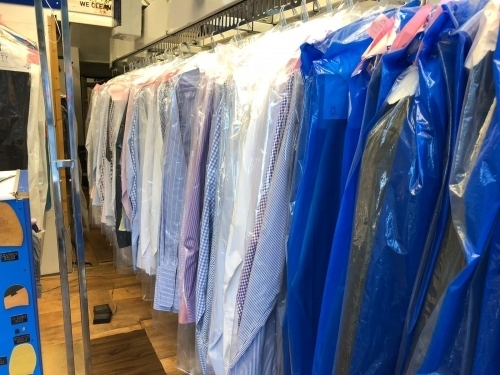 Top Hat Dry Cleaners provides quality dry cleaning and laundry services at reasonable prices, a reliable pick up and drop off service to Isleworth and to the surrounding areas. the first time he heavily dry cleaned a suit and faded the colouring. The second time he messed up some tailoring adn then wanted to charge me again to repair it. The service is poor and the owner is very rude, he clearly doesnt care about his customer being satisfied with his service so i took my business down the road where so far service is far better and actually cheaper!